Here at Bobsled Marketing, we’re strong believers that brands should be representing themselves on Amazon. Amazon accounts for an estimated 50% of ecommerce sales, and many shoppers start their product searches on Amazon. Brands should be using the channel to gather insight into product and competitive trends, get feedback from customers, represent their brand (and pricing!) consistently, own & grow the direct revenue, and own as much of the data they can get from Amazon. Still, some manufacturers figure that they’d have an easier time allowing their distributors or a specialized reseller to handle Amazon for them: out of sight, out of mind. While we don’t endorse this approach, we do understand that it can be the simplest way for brands to check Amazon off the list, and be a good option for expanding into international markets. In order for brands to practice “safe distributing”, we’ve compiled a list of questions that brands can ask potential distributors and resellers to ask before giving up their Amazon channel to a third party. 1. What data will the reseller share with the brand? Amazon isn’t known for sharing a ton of data with the merchants that sell there. From their perspective, shoppers on Amazon are “their” customers, and merchants don’t get a ton of insight into who the buyers are or their purchasing habits. Still, there is helpful data that can be gathered in Seller Central & Vendor Central (depending on which platform the reseller is using), which you should request reporting on. Sales data over time, by product. Which products are most popular based on units sold, and total revenue. How are those trends changing over time? Lower sales over time could signal higher competition. Conversion data over time, by product. Which products sell the best once a shopper finds them? Are conversion rates getting better or worse over time? Search Term Report, when running PPC ads. This report is essential reading to understand what keywords and phrases shoppers are using to find your product, and which terms actually convert into sales. Other ASIN Report, when running PPC ads. This report shows you competitors’ products that shoppers bought after clicking on an ad for your product. This is essential competitor insight. Order reports. Although you cannot re-market Amazon customers, you can generate reports which show where customers who bought your products are located. This can give you valuable demographic information about who your customers are. This is only available to Sellers, not Vendors. 2. What marketing activities will the reseller deploy? A potential issue with resellers and distributors is that they may not care as much as you would about representing your brand in the best possible way. At Bobsled Marketing, we have seen issues where products were materially misrepresented on Amazon, causing big customer service issues and damage to the brand. But on a more innocuous level, if could be as basic as making a half-hearted attempt to produce product listings with great images and compelling copywriting. If your products aren’t represented in the best way possible, it will mean lower conversions and sales. 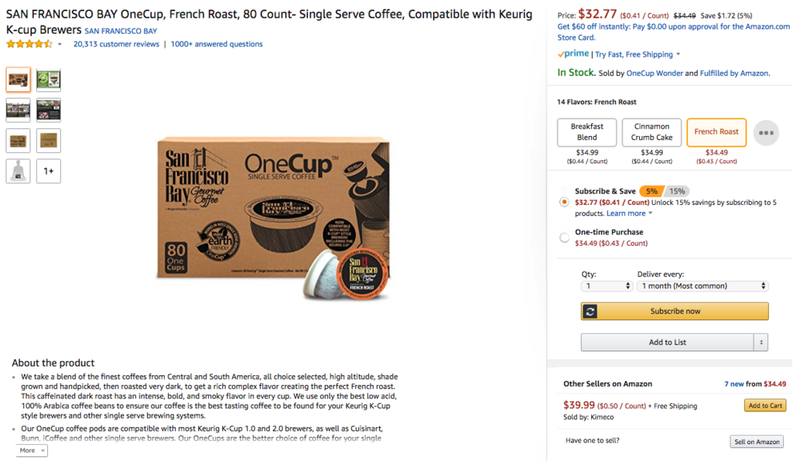 Above: example of a Amazon product page, with a keyword-optimized title, descriptive bullets, quality product images, logical flavor variations, and enrolled in the Subscribe & Save subscription program. You should also ask the reseller if they will be running promotions like shopper coupons and lightning deals; how they plan to get product reviews; and whether they will be running PPC ads to drive qualified traffic to your brand’s products. Each of these efforts can increase sales considerably. 3. How will inventory be managed? As a manufacturer, you know that everything grinds to a halt when you run out of inventory. So what are your distributor’s processes for ensuring they have adequate levels of stock? Do they use software to calculate the quantity and frequency of orders from you? Another concern may be around how they will handle product returns. Amazon has different options for handling returns when the items is shipped by Amazon (using FBA or Vendor Central), and the default option is for Amazon to re-stock any inventory that appears to be in sellable condition. That can create huge issues for the brand when the following customer receives a product that has been opened or appears used. 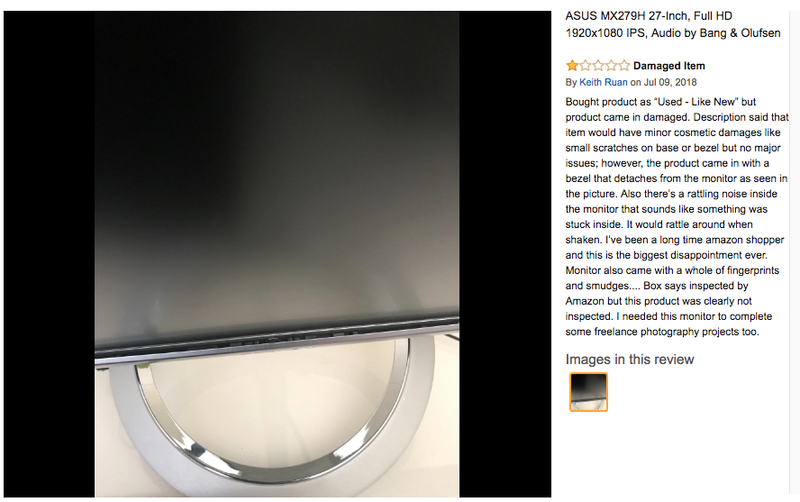 Above: a disgruntled Amazon customer who received a product that was not in the condition described by a reseller. Distributors may also liquidate returned inventory through other channels, and even to other resellers on Amazon like Amazon Warehouse Deals. These downstream sellers can create issues of their own. 4. What are the reseller’s customer experience processes? Amazon customers are savvy and sometimes demanding! They know that by shopping on Amazon they can expect an almost immediate response, and for problems with orders to be solved instantly. Make sure the reseller has processes in place to respond to buyer messages within the 24-hour window required by Amazon, and that they’ll also be responding to negative product reviews. Remember that most shoppers will have no idea that they are buying from a reseller or distributor - to them, it’s simply your brand’s products. 5. What are the terms of the reseller agreement? Make sure there are provisions in the agreement that mean you can cancel if the reseller doesn’t meet the agreed requirements. Consider adding some terms from the above questions to ensure your brand is being represented correctly and has the best opportunity to grow. Be careful if you give permission for your reseller to apply for Amazon’s Brand Registry. This means that if you decide to eventually take back control of your brand on Amazon, the reseller will already have primary rights to edit product listing content, and make it harder for you to represent your own brand. The decision to relinquish your brand on Amazon to a third party shouldn’t be taken lightly. But if the distributor or reseller can answer these questions to your satisfaction, you might have a win-win partnership. 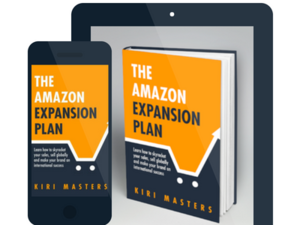 Be sure to revisit the strategy of your Amazon channel periodically, especially if you find that purchase orders from the distributor are growing at a good clip. And if you decide that your brand’s Amazon channel should be fully owned by your company, you don’t have to do it alone. Bobsled Marketing has worked with hundreds of companies to grow and protect their brands on Amazon, without giving up control. Request a consultation with our team today or learn more about our services. Older Post FBA Small & Light: Is It Worth It?